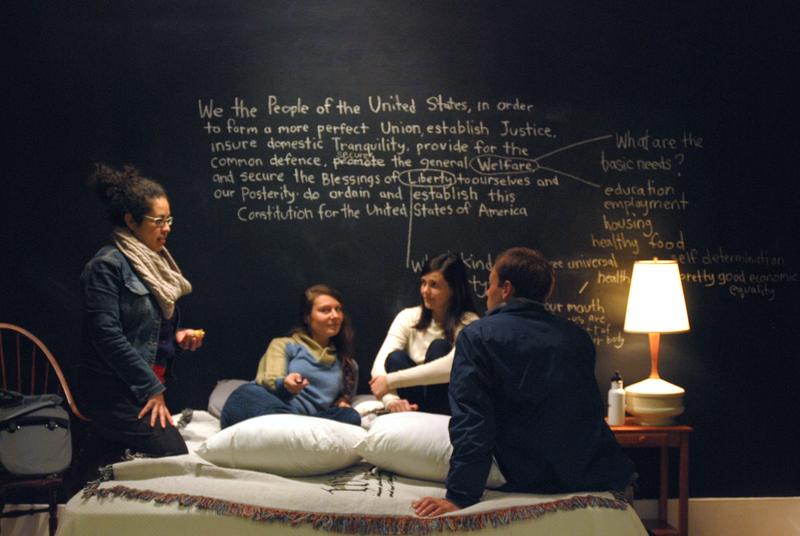 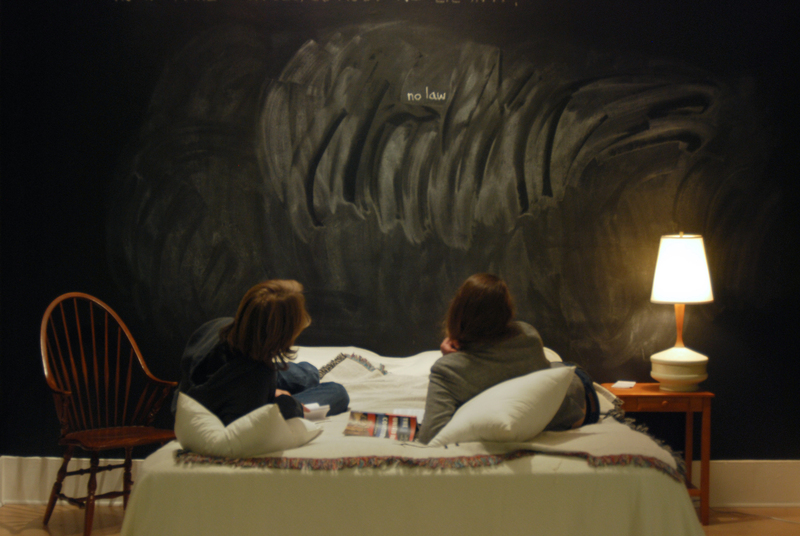 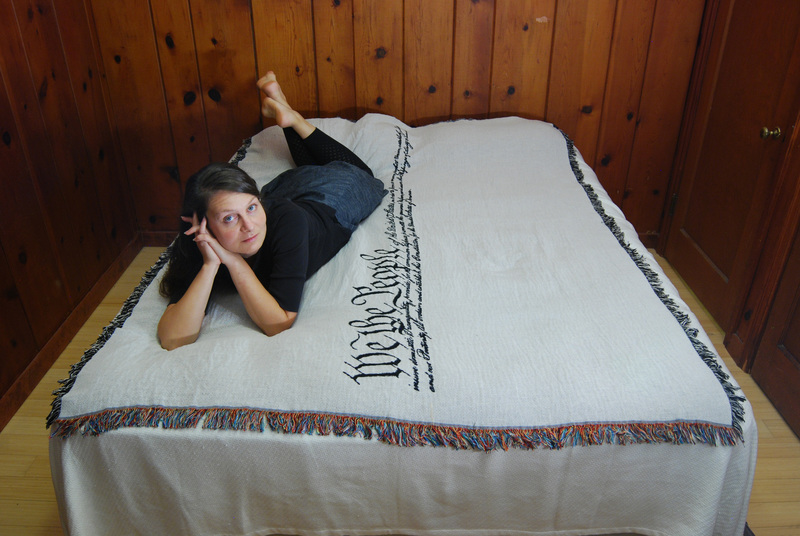 By presenting the U.S. Constitution as the bed we made for ourselves as a country, I invited people to consider what lying on that foundation means in both poetic and practical terms – for themselves as individuals, and for the collective entity that is our country. 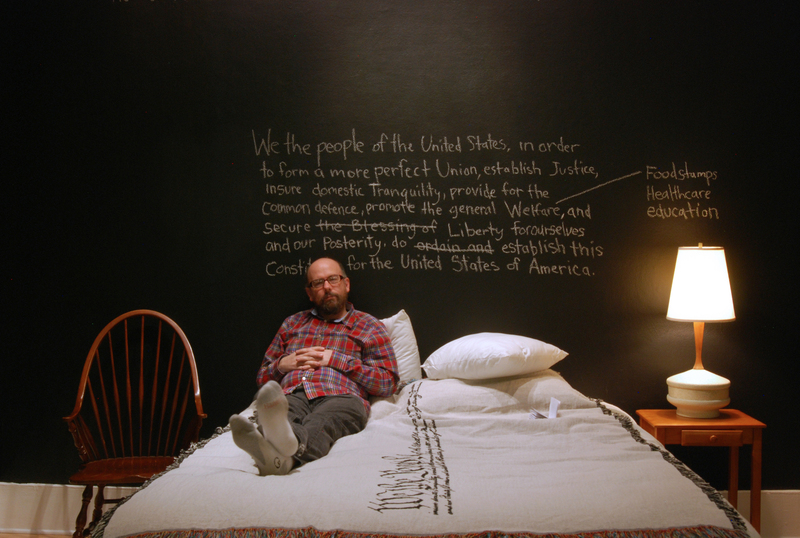 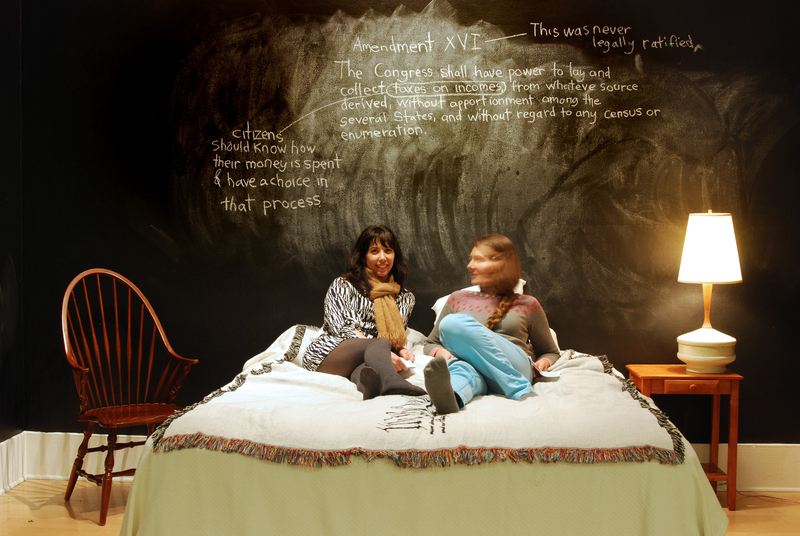 Located in the lobby of the Portland Building, the home of many bureaus of city government, this installation invited people to join me in bed to talk casually about who they are in relation to America’s foundational document and the realities and dreams those words evoke. 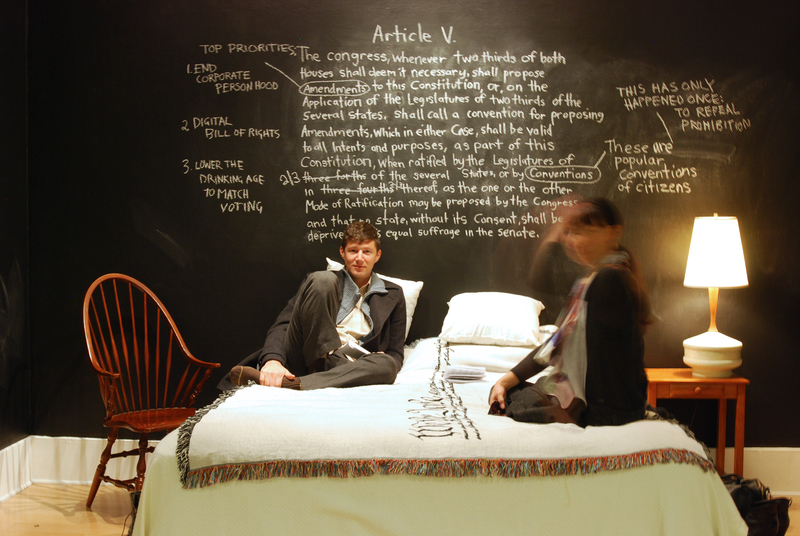 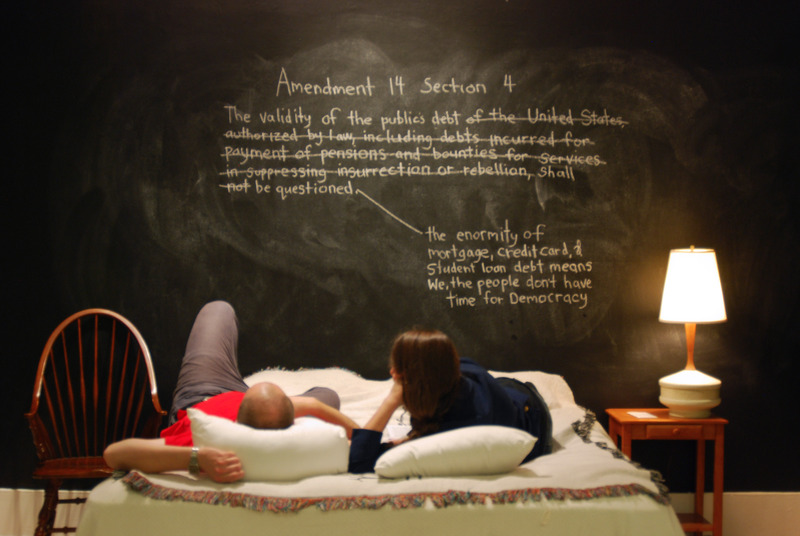 As the installation progressed, the text of the Constitution was collaboratively commented upon and edited on the walls of the exhibition through discussions between the myself and participants. 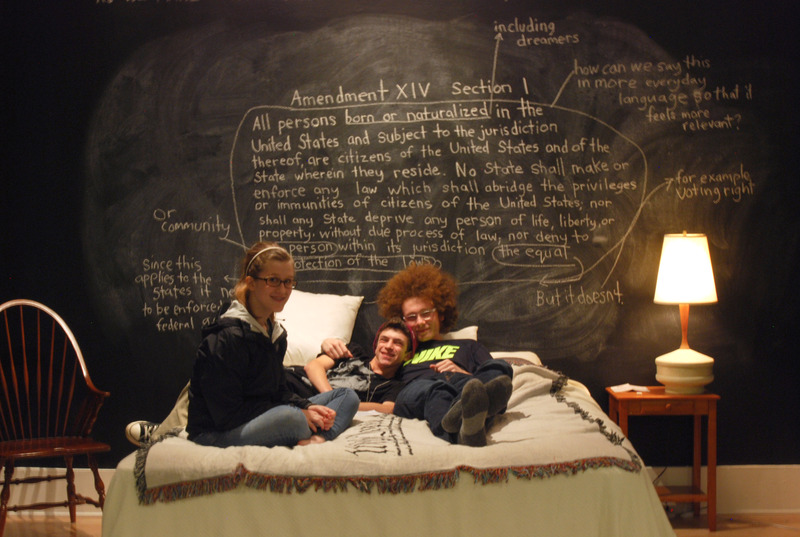 I consider this site to be a way to intimately reconsider what legally and symbolically binds us together as a people.